industry for our packer variety and very competitive prices. You have decided on the grout and got the right pump. effective as metal and rubber? how do you connect your grout line? There are two primary categories of packers available. helpful for single operator injection and large applications. between a drip and a gush. and the key factor for successful injection work. compromise in strength and size and can be called a standard. when selecting your packer size. return valve, ease of use etc. may be of concern. desired, the 5/8" button head packers achieve good results. 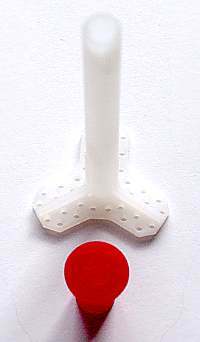 return valve, a seal cap is provided for use after injection. 2000 for cold joints and other specialty packers. SealBoss is a leading supplier of injection packers.